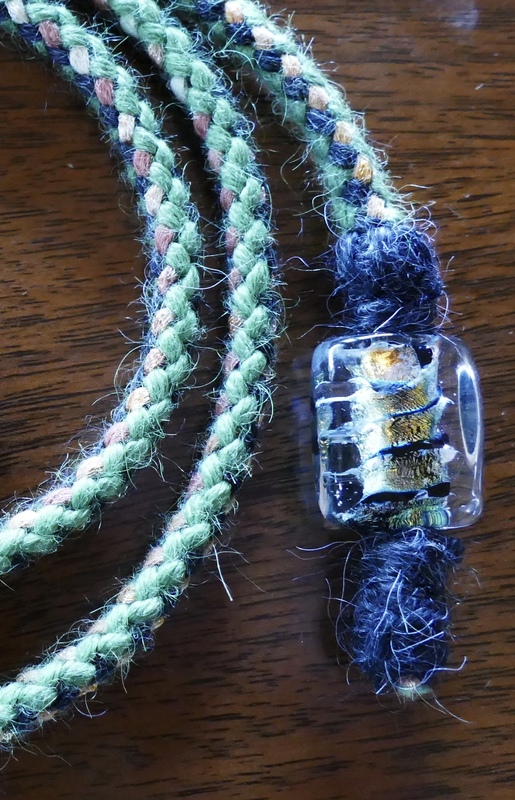 3/8″ thick; predominantly grass green with charcoal and sparkly cedar accents, ten strands of yarn plus a strong cotton core, 1/4″nickel matte bolt snap and a handmade Wendy Dell Glass bead. 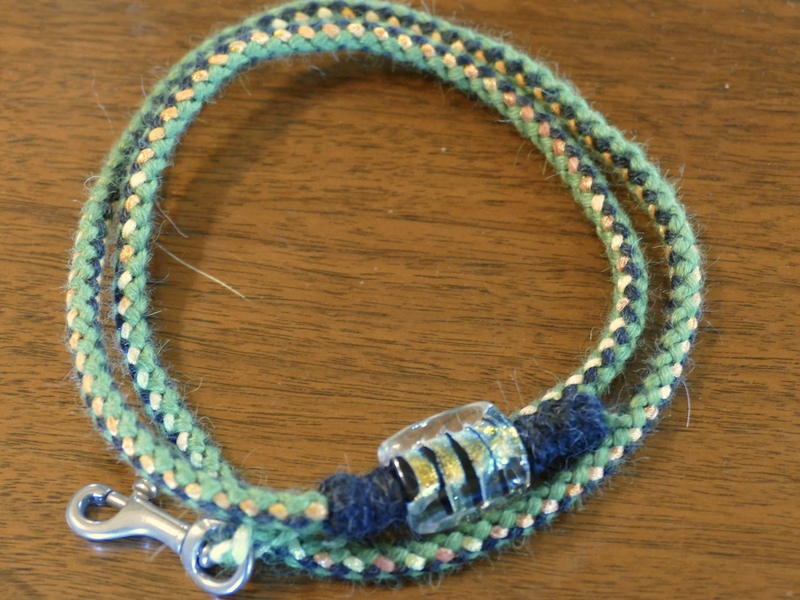 29″ version as pictured with dark bead stops; 35″ version features green bead and snap stops. Can you envision this on a fawn Great Dane or a tall hound?